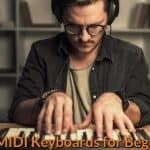 Most of the beginner or home studio music producers generally make use of MIDI keyboards to have perfect control of synthesizers and other instruments. This is because MIDI was mainly developed for this purpose of providing “at-home” producers of music a single platform from where they can control other instruments and synthesizers. MIDI pad controllers, however, had just evolved as an afterthought or offshoot which later become an essential addition to the MIDI controller. 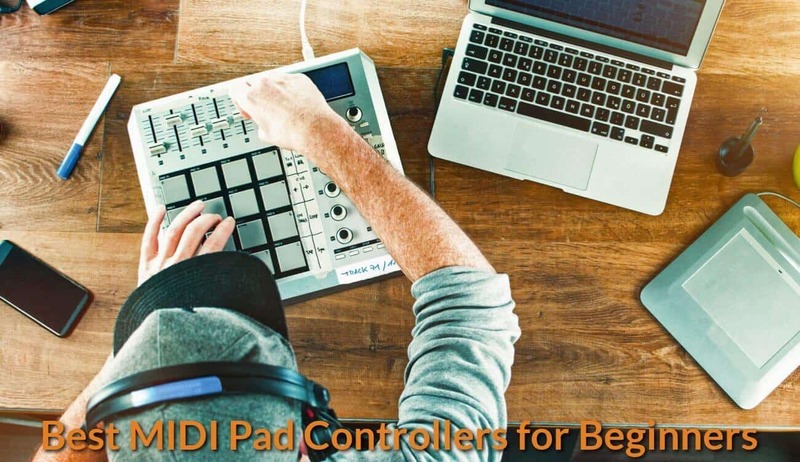 Since its inception, the MIDI drum pad has dramatically improved and evolved from the tap-out 4-on-the-floor design that came with little drum pad to the present MIDI drum pad controller that is capable of arranging, composing, sequencing, and separating instruments. MIDI drum pad controllers are now cool and easy to use. However, there are myriads of MIDI drum pad controllers’ brands and models on the market today. 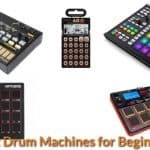 This makes it a bit difficult and confusing for someone who is just beginning to tinker with MIDI drum pads to find the best one for his needs. The Native Instruments Maschine MK3 Drum Controller can surely stand alone as a separate instrument in itself. 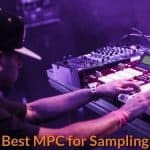 It is not, therefore, accurate to tag Maschine MK3 as solely a pad controller for it comes with the software of its own, although it follows the same workflow as those of the classic MPC blueprint. Thus, Maschine MK3 gives you a perfect pad-based method for arranging, composing, mixing and performing. Native Instruments have showcased its fabulous screens in the MK3 model while giving its hardware a bit of sprucing up. Hence, it is obvious that Native Instruments has taken that bold step of giving Maschine MK3 an audio interface. Its simple 2-in/4-out setup allows you to record and playback at the maximum 24-bit/96kHz quality. In a way, it is safe to say that Maschine MK3 is more than a drum pad controller. It is more like a veritable complete instrument in itself since it comes with its Maschine software. It works like a classic MPC, but it also allows you to arrange, compose, perform, mix, and many other functionalities. 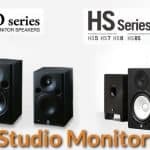 Its dual high-resolution screens let you do sampling, browsing and previewing of sounds. They also allow you to edit and mix your projects without necessarily needing your computer. Hence, Maschine MK3 is genuinely a good choice. The Akai Professional MPD218 comes with 16 high-quality velocity-sensitive pads. It also comes with 6 rotary encoders, 6 navigational buttons. This MIDI controller comes with Ableton live lite. The Ableton live lite is a very popular DAW for veteran as well as newbies in music production. Akai Pro MPD218 comes with Akai Mpc Essentials, Sonivox Big Bang Universal Drums software, and Sonivox Big Bang Cinema Percussions. These features are undoubtedly some of the most important features that you would need to create beats using a pad-based system. At its bottom left-hand side, you’ll find the Swing, Full Level, and Note Repeat. 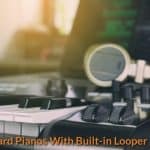 Using this MIDI drum pad controller, you can create an easy flow and repetitive functions using your left hand while you keep on playing with your right hand. The Akai Professional is surely a great product, to begin with. The Arturia BeatStep USB/MIDI/CV Controller is basically a standalone sequencer for CV-equipped hardware or MIDI. Hence, it is more than a USB MIDI controller. It is capable of storing up to 16 different sequences with 16 steps individually. It comes with velocity-sensitive pads that let you do expressive finger drumming. Its encoders allow you to assign various parameters for perfect real-time control of the virtual instrument. You can also store its 16 customizable presets in its memory and recall them automatically using the “Recall” button. Asturia BeatStep features expanded sample libraries together with its drum-focused offerings. It has a very sleek design with a straightforward and highly functional controller. You got more options of connectivity with Arturia BeatStep for you can simultaneously connect it with external MIDI equipment and with your computer. Moreover, the pads are highly responsive and very sensitive allowing for easy triggering of drum beats. Its rotary knobs offer a solid control feel. Its parameters feature awesome flexibility for cool customization via software. One downside, however, that is frequently pointed out by its users is its lack of visual display with its controller. Well, this one is readily solved by merely adjusting the DAW’s parameters. The Arturia BeatStep is surely a good choice if you want a drum pad that also works as a hardware sequencer. The AKAI Professional LPD8 Portable is a very portable one. In fact, it can readily fit into your backpack. It features eight backlit pads together with eight knobs that are similar to those of professional AKAI MPCs. This one is likewise very affordable and will not cause a dent on your savings. Despite its affordable price, its pads and knobs can provide you with a great feel. Moreover, they are very responsive and perfectly complement your DAWs and modern software instruments. You can customize the settings of each of its parameters using the LPD8 editor. The AKAI Professional LPD8 Portable is undoubtedly very simple. It’s not overwrought and comes as a no-frills MIDI drum pad. It is perfect for those who want to engage in specific projects or for those who want to immediately get a hand on a controller for the first time. Compared with other MIDI drum pad controllers of the same price, this one is undoubtedly your best option.